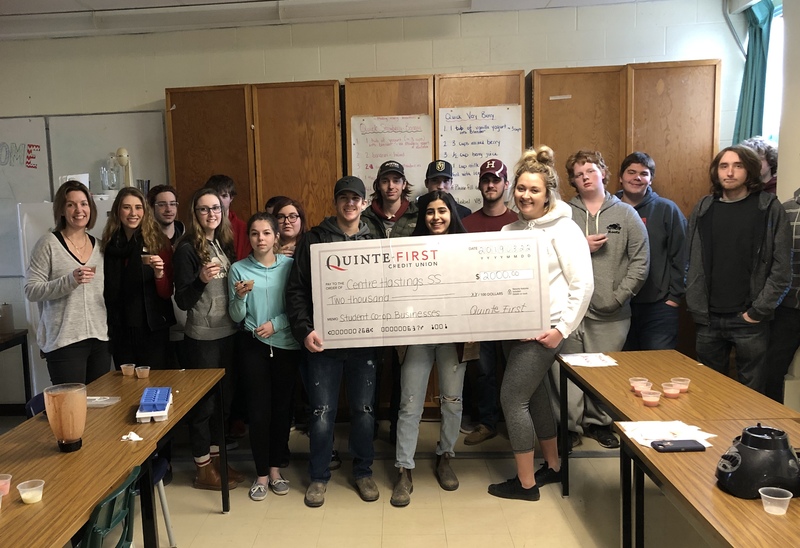 We are so pleased to announce that our unique partnership with Quinte First Credit Union has resulted in a $2000 grant for our Entrepreneurship class. Alexandra Leavey from the Credit Union applied for a grant to help promote cooperatives and start up businesses. Mrs. Spry, the teacher of the class says, "I plan to get some flat grills for grilled cheese sandwiches to go with smoothies." The class is also hoping to enhance their t-shirt business wtih improved heat transfer options to make better quality clothing to sell.